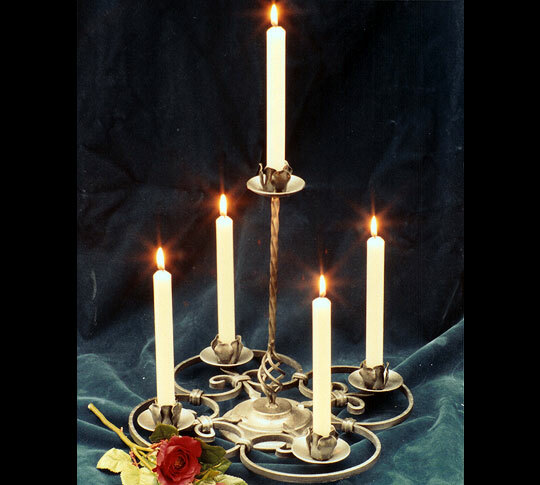 A very attractive wrought iron candle holder, makes an excellent table centre piece. Dimensions - height - 37cm/14 and a half inches, diameter - 38cm/15 inches. Made to order within 5 days - please contact us.